To hold space for someone is to offer them what a nest offers a tiny bird – both protection from the elements and freedom for when they’re ready to fly. In this introductory workshop, we’ll explore the basics of holding space and we’ll discover how this concept can revolutionise the way we are in relationships with other people and even the way we treat ourselves. Australia: April 5, 2019, 9:00 a.m. to 4:30 p.m.
New Zealand: April 13, 2019, 9:00 a.m. to 4:30 p.m.
To hold space is to let go of the outcome and to allow for the emergence of a new and unknown reality. That’s a difficult thing to do, especially for those of us who feel anxious when we can’t control a situation or we want to offer advice or a solution. In this workshop, we’ll explore what it means to be in “liminal space” and why we are often tempted to bypass this space of ambiguity and uncertainty in our lives in search of something easier, safer, and/or more familiar. Then we’ll learn about the basics of holding space and how to be present for and compassionate toward other people without inserting our egos or trying to control the outcome. This is an introductory workshop that includes the basic concepts that Heather Plett teaches in her longer retreats and online Holding Space Coach/Facilitator Program. You’ll gain enough of an understanding of the concept that you’ll be equipped to show up differently in the relationships that matter most to you. You’ll also have a deeper understanding of your own personal journey through liminal space. This workshop will be of interest to anyone exploring the relationships they’re in, but especially to those who are in some form of “helper” role – yoga teachers, parents, coaches, celebrants, leaders, therapists, mentors, medical professionals, yoga therapists, guidance counselors, and anyone in relationships that matter. 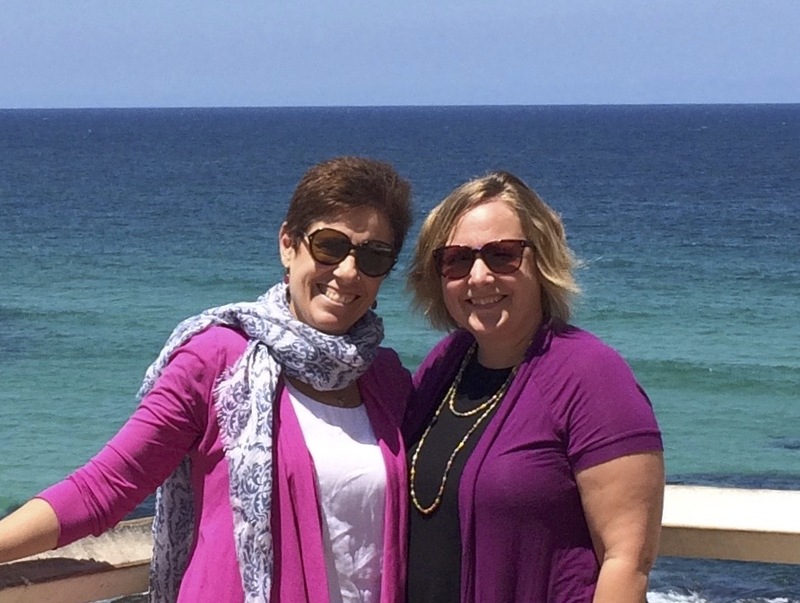 In Australia, this workshop will be taught by Heather Plett and hosted by Lucy Karnani (photo on left). 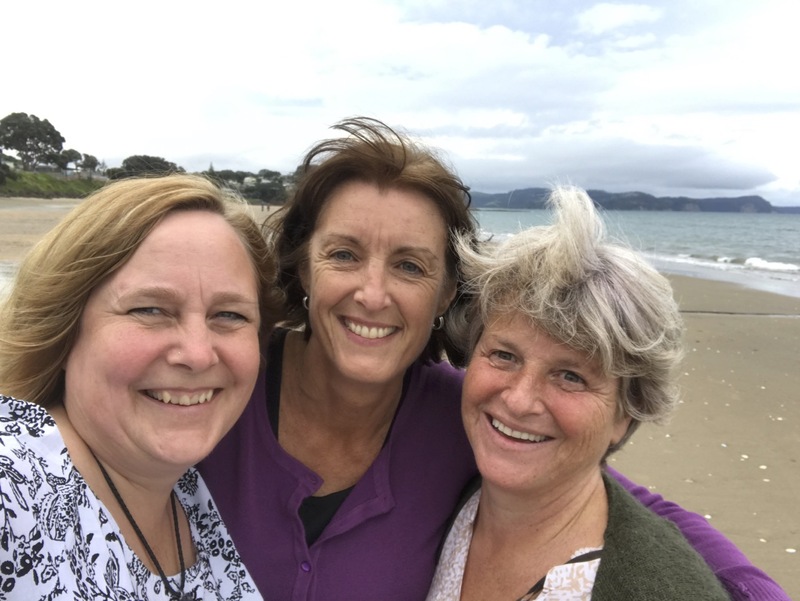 In New Zealand, it will be hosted by Kelly Townsend (centre of photo on right) Heather is an internationally renowned facilitator, teacher and writer. She has taught workshops on holding space in Europe, North America, Australia and New Zealand, as well as online to people from six continents. Lucy is a yoga teacher based in Sydney who co-authored the book Connecting: Conscious Communication for Yoga Teachers and Therapists. Kelly is a facilitator, celebrant, and coach who supports people in their quest to live wholeheartedly. Australia: Email Lucy at lucy@yogacommunication.org and she’ll send payment info.